Happy Year of the Horse 2014! 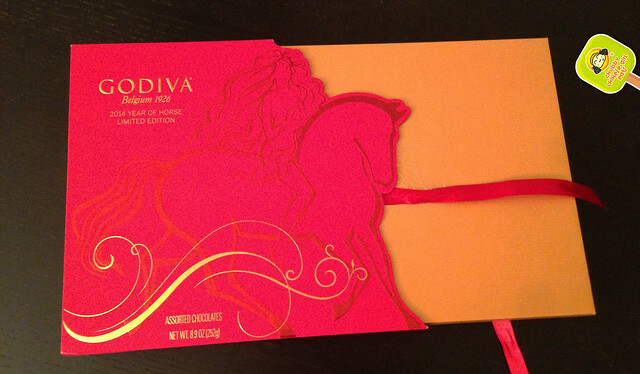 To start off the season, Godiva sent over a box of their 2014 Year of the Horse Limited Edition. With fun flavors like White Chocolate Pineapple Macadamia, Milk Chocolate Cherry Almond and Dark Chocolate Caramel Pear. A sweet and beautifully packaged box of chocolates – best shared with family and friends. Here’s a little music to get into the holiday mood. Because the festivities go on for 2 more weeks, it’s all about eating and eating. But, no matter where and how you spend it, ultimately it’s who you celebrate with that counts. Hope you have an awesome time with family and friends. Here’s to more good eats and good health in the Year of the Horse.